So writes Marin Sanudo in the Venetian diaries the passing of Aldo Manuzio occurred February 6, 1515 after days of illness. 66 years have passed since the birth and just over 20 years since the beginning of the Venetian adventure of a young Aldo who, starting from a small town in Bassiano, today in the province of Latina, passing through Rome, Ferrara, Mirandola and Carpi arrives in Venice and founded one of the largest printing companies in the ‘500: the Aldina Typography. 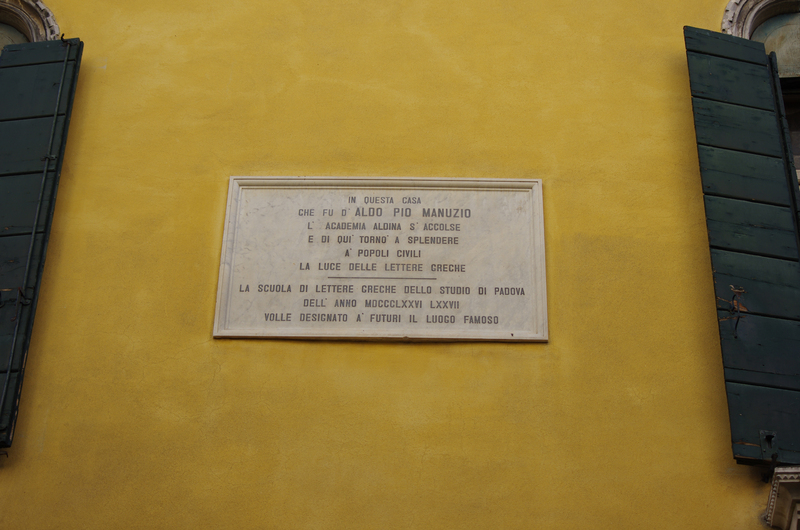 Aldo Manuzio, despite the scarcity of his biographical information, the year of his birth has been fixed today almost unanimous in 1449, he who inspired scholars for its complexity. Retracing a virtual map of the movements of young Aldo. He completed his studies in Rome, where he was a pupil of Gaspare da Verona, professor of rhetoric at the Sapienza University and attended the lectures of Domizio Calderini. Later he moved to Ferrara after 1475, there was a student of Battista Guarini. In Ferrara he met the famous Pico della Mirandola who asked Aldo to take care of the training of his nephews, the children of his sister Caterina Pio. From a document kept in the archives in Carpi, dated March 8, 1480, we learn that as educator Aldo is granted citizenship and appointed as guardian of Alberto and Lionello Pio, Princes of Carpi. Between 1489 and 1490 Aldo moved to Venice pushed by the possibilities that the lagoon city offered: Greek manuscripts from the library of Cardinal Bessarione, the presence of Greek exiles and many companies operating in typographic in the Republic of Venice. His printing company soon became the most important center of the dissemination of culture in the XV – XVI century. Among its innovations we include: the round characters for the Greek, the cursive or italic, the print in 8th, the introduction of punctuation in texts, page numbering, catalog printing editions, the introduction of typographic logo. The Aldine typographic logo first appeared in 1502 in the second volume of Poetae Christiani veteres was the anchor and dolphin illustrating the motto “Festina lente” (hurry slowly). All this is not enough to explain the success of Aldo in the publishing world. In 1494 the printing company joined the Aldine Academy, founded by Aldo along with seven other famous people: Giovanni Battista Cipelli (Battista Egnazio), Paolo Canal, Girolomo Menocchio, Francesco Roseto, Scipione Forteguerri and the greek Giovanni Cretese. He also welcomed the greatest humanists of the period : Pietro Bembo, Girolamo Fracastoro, Giovan Battista Ramusio, also Erasmus of Rotterdam took part of the Academy who edited the edition of “Adagia” printed by the same Manunzio in 1508. In the twenty years of activity more than 130 editions were published from the Typography Aldina in Greek, Latin and vulgaris, their numerous editions contributed to the spread of the philosophical heritage, literary and scientific culture of the Greek and Latin texts of the authors of the masterpieces of the Italian language as Dante, Petrarch, Boccaccio, and the letters of St. Caterina of Siena. From the printing presses of Typography Aldina at Campo St. Agostin came also the most beautiful book of the Renaissance “Hypnerotomachia Poliphili” an allegorical novel, published in 1499 with 172 xylographys, that after 500 years still holds its charm. On the occasion of the V Centenary of his death, the town of Bassiano and many national and European institutions are preparing to remember the illustrious humanist initiatives: the issuing of stamps by the Istituto Poligrafico Zecca dello Stato, conferences including those organized by the Biblioteca Nazionale Marciana, exhibitions including an exhibition at the Gallerie dell’Accademia, the presentation of the film “Festina lente” written and directed by Lucilla Colonna. 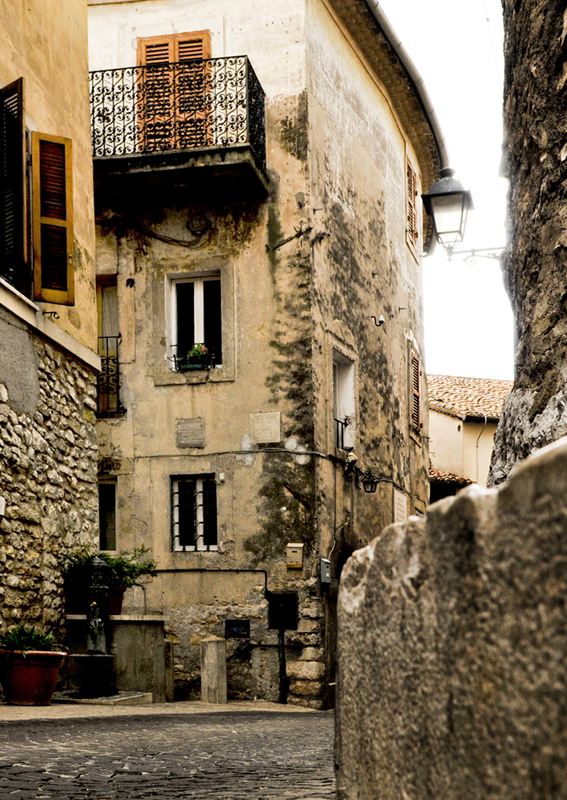 The town of Bassiano is activating www.annomanuziano.it a site where you can find the program of all the events. “Hypnerotomachia Poliphili” : the possibility to browse through an entire online edition.